Spring 2018 After School Activity choices have been sent home with your child(ren) this week. Please make sure you return forms by the deadline - Monday 14th January to the class or office. 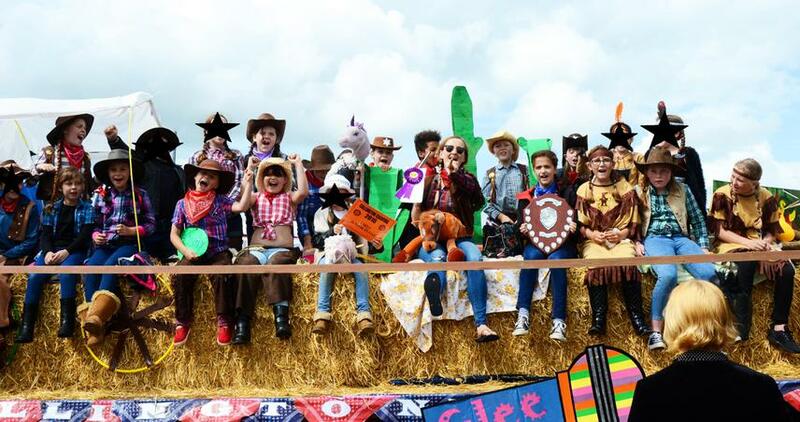 Glee Club entered this year's Callington Carnival with a Wild West themed float. 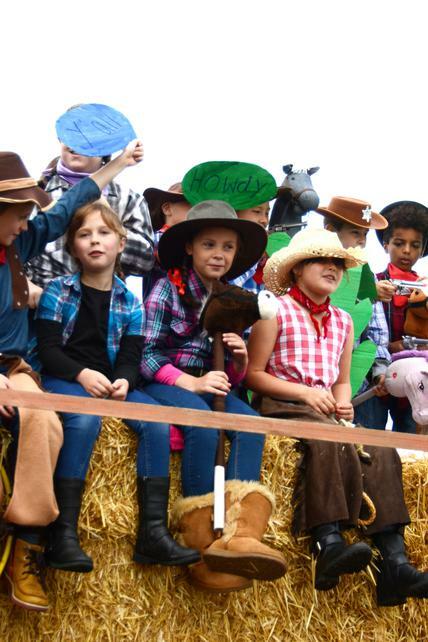 Dressed as Cowboys/girls and Indians, the children dazzled the judges with the hard work they had put into the float decoration and wild western themed dancing; we won 'Best Junior Float'. 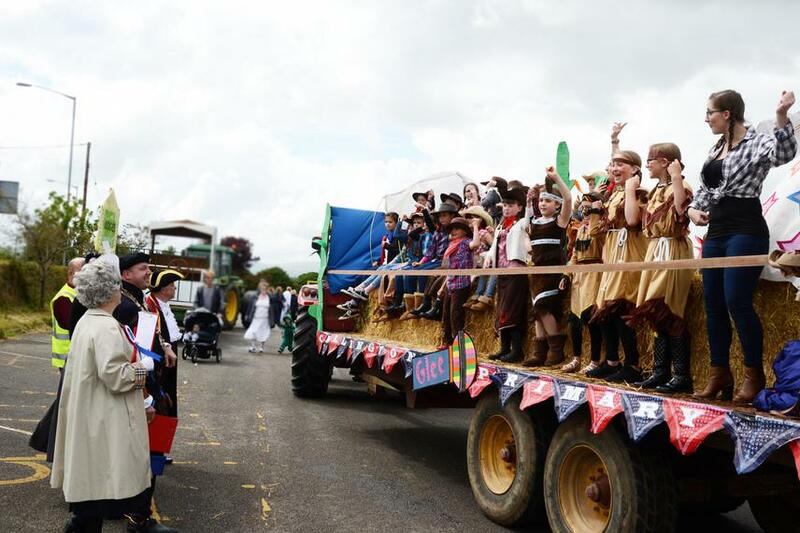 Buzzing with excitement, all of the children enjoyed the procession, spotting family friends and staff in the crowd, keeping them entertained with versions of 5,6,7,8, Cotton Eye Joe and Timber. Well done Glee Club and a MASSIVE THANK YOU to all adults who helped. 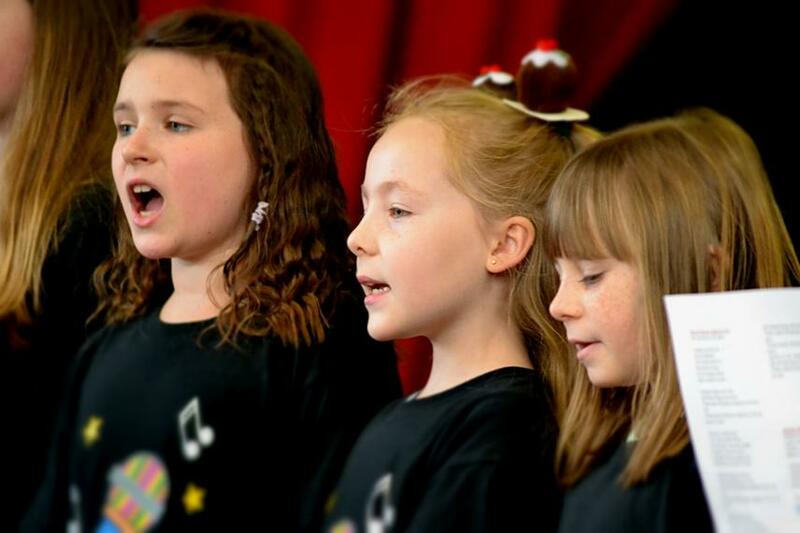 Glee performed at the Town Hall to an expectant crowd of Caradon Disabled Club members. They were not disappointed as the children in Glee Club performed a range of songs from a Lion King number to Easter Jubilation with enthusiasm and smiles. The children certainly spread the message of the true meaning of Easter to members of our local community. They were rewarded with an Easter egg thanks to the generosity of the members of Caradon Disabled Club. 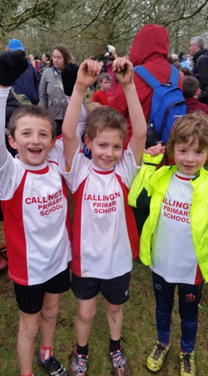 In Cross Country Club we have been training and competing at races around the county. 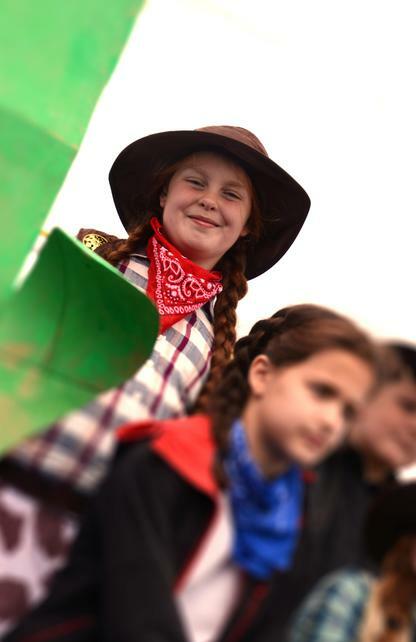 During training, we have been building stamina and improving our fitness through activities such as: circuit training, Indian running and playing games. The culmination of training is to be selected to represent the school at a race event where points are gained for race results. These results are added up and dictate the position of the school in the league table. 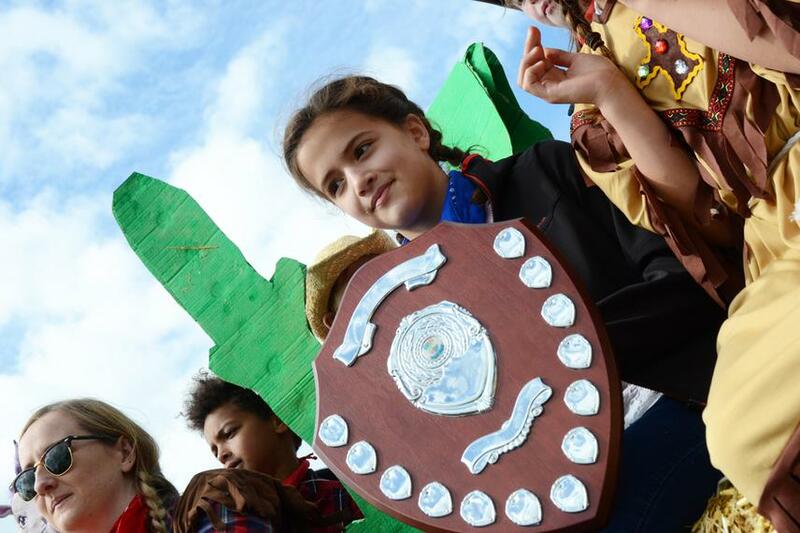 At the last event, which was Lanhydrock, the team put in a superb effort with excellent results for all, showing the determination and perseverance of the children. We are looking forward to the next training session , race and the fun run at the end of the season. Glee Club Sparkle and Dazzle! 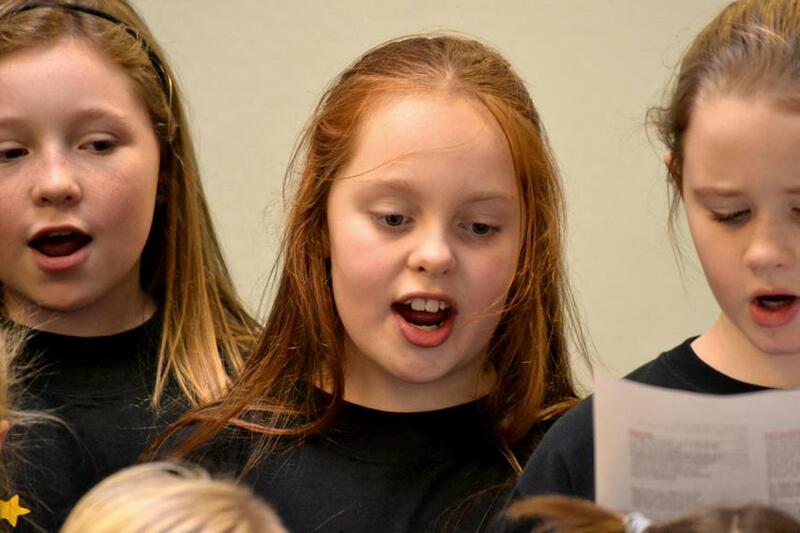 Glee Club has built a reputation within the local community for being an outstanding group of young performers. 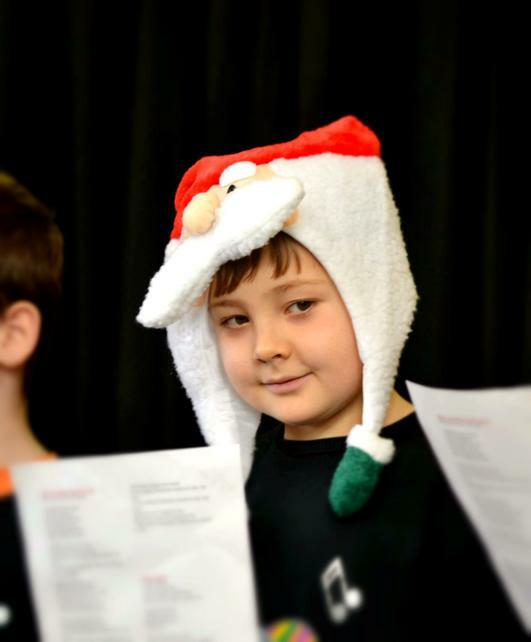 As Christmas approaches, Glee Club is in demand! 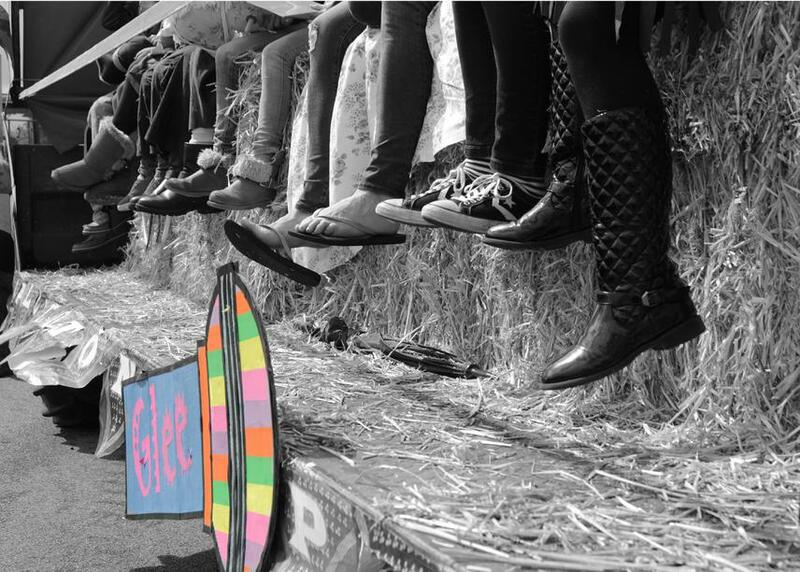 There are numerous events in and around Callington at which Glee have been asked to perform. We are due to perform at the Christmas Fair, for Caradon Disabled Club, the Evergreens, St Teresa's Nursing Home and with the Tamar Male Voice Choir. 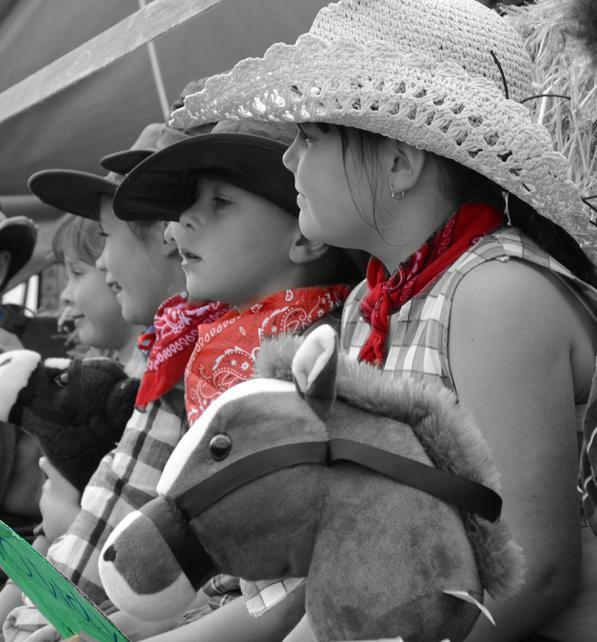 Take a look at the fun we've been having out and about in our local community. 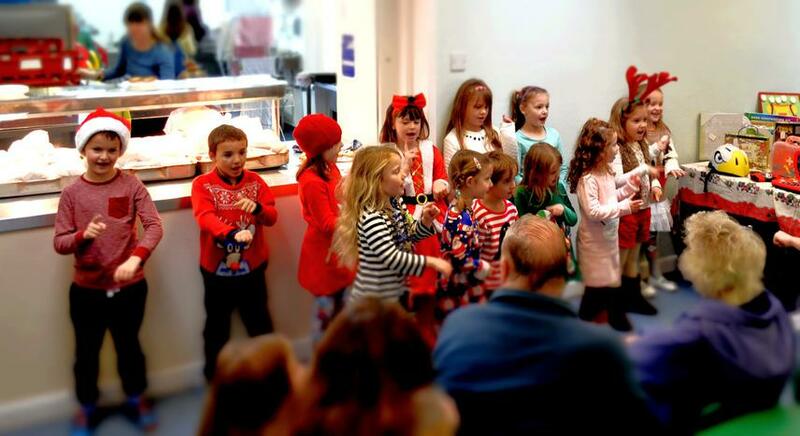 Mini-Glee show cased their singing at the Christmas Fair! 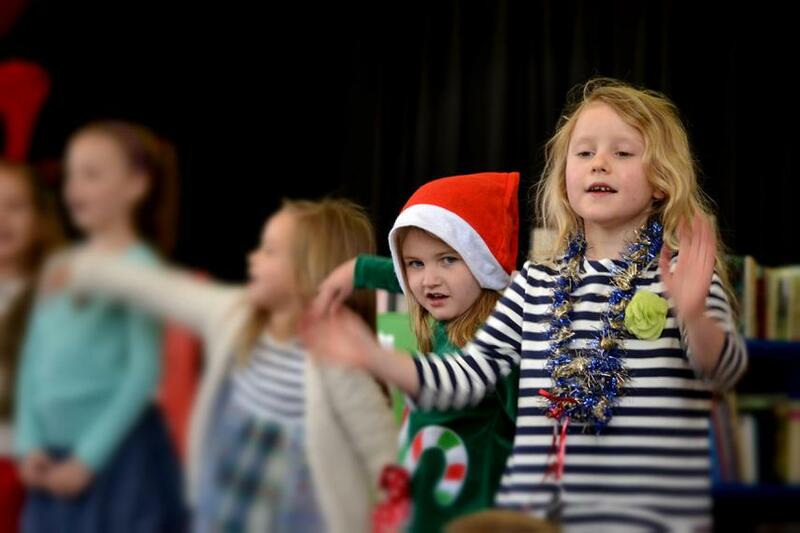 Mini-Glee performed for the first time this year at the Christmas Fair on Saturday. Overcoming nerves, they sang twice in the hall and canteen to a huge crowd who were very impressed by their smiles, actions and singing voices. In Mini-Glee we sing lots of songs but our favourites at the moment are, ‘There’s a hole in the bottom of the sea’, ‘Jingle Bells’, and ‘See the little Bunnies’. 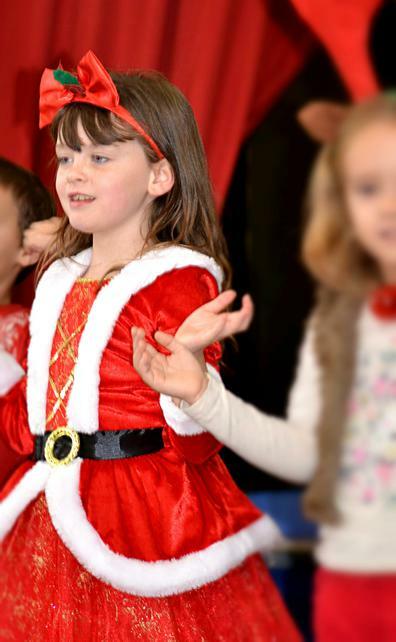 For the rest of the term, we will concentrate on learning some more Christmas songs and enjoying ourselves in all we do. 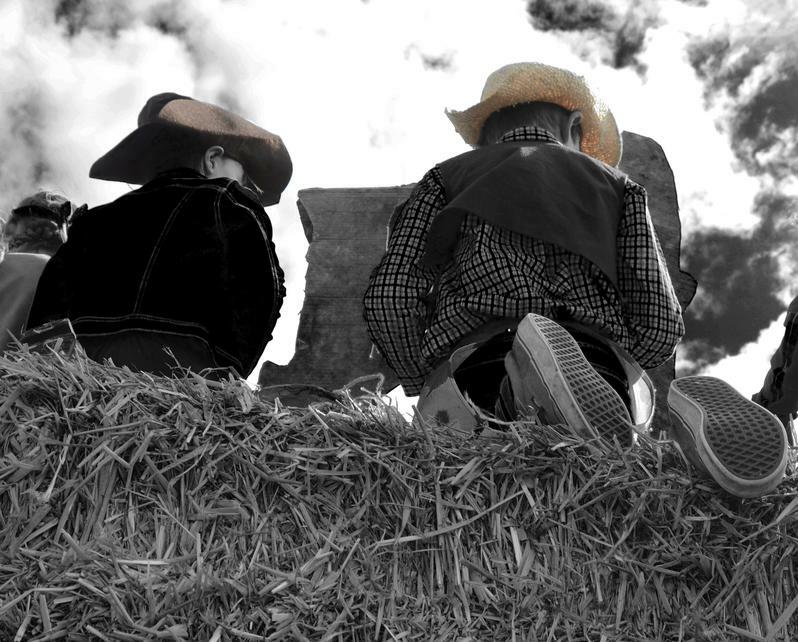 Why don’t you ask one of Mini-Glee to tell you about our vocal warm ups? They are experts now! 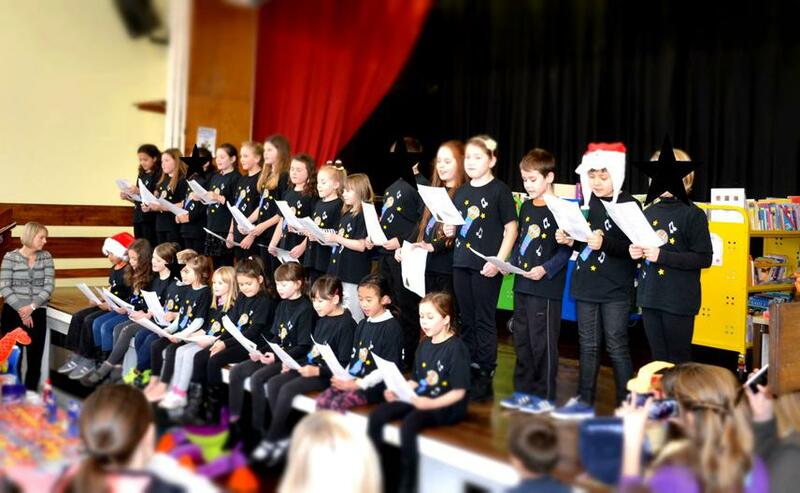 Well done to all those who sang on Saturday! You were brilliant! !